Cancer in pregnancy is a rare occasion affecting less than 0.1% of all pregnancies. Either primary or secondary metastatic thoracic tumors during pregnancy account even a small portion of them. However, any lung tumor of a term pregnant has devastating potential influence during the anesthesia for childbirth. Due to extreme scarcity of these cases, there are no well-established anesthesia methods to overcome the problems encountered in this particular patient population. Data and information in this field are derived mainly from occasional case reports and mini reviews. 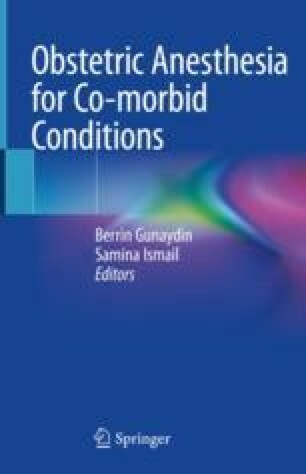 The aim of this chapter is to give a structured information and to discuss the possible challenges that the anesthesiologist may come across.